Nicolas Laisné and Dimitri Roussel discuss their practice that, turning to a rare intensity of design, contemplates social and environmental changes underway. Today, there are various ways of being on the cutting-edge of architecture: innovative forms; new imagined uses; or, new experimented materials. The French studio Laisné Roussel is present on all these three fronts. For them, each design is experienced as fertile terrain for experimenting and imagining alternative ways of living and working. 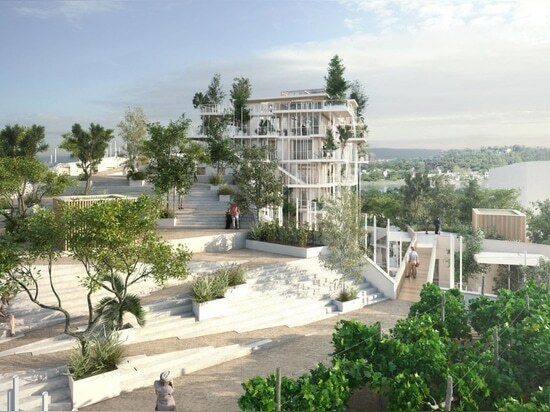 After collaborating with Jean Nouvel and Steven Holl, Nicolas Laisné and Dimitri Roussel opened their own studio in 2003 and earned international recognition after winning in 2014 the “Architecture du XXI Siécle-Folies architecturales” competition for the city of Montpellier, in equipe with Sou Fujimoto and Manal Rachdi-OXO Architects. After that project – so unique for its courage and power of expression – Laisné Roussel won a string of competitions – including the campus of Saclay for the Ecole Polytechnique and the Jardin Habité project in Paris – where both architects display a rare intensity of design that contemplates social and environmental changes underway. Their network includes not only architects (in addition to Fujimoto, they are currently collaborating with SO-IL and Marcio Kogan), but also sociologists, city planners, photographers and activists. Their idea of architecture is filtered through research and also entails city planning. Their built designs include housing, offices and university campuses. We met up with them to discuss their architecture and their strategies. Salvator-John A. Liotta, Fabienne Louyot: Today, in France, politicians, cities and communities offer land or buildings in a dire state of preservation, and ask architects to come up with innovative ideas and programmes that satisfy the demands of a quickly changing contemporary society. “Réinventer Paris”, “Réinventer la Seine”, “Inventons la Métropole du Grand Paris” all head in this direction. Laisné Roussel won the competition for 1 of the 22 sites in “Réinventer Paris” and you were also chosen for a “Réinventer la Seine” location. What’s your strategy? Nicolas Laisné, Dimitri Roussel: It’s undoubtedly a particular moment in time, and this kind of competition obliges us to work with many different professionals. Politicians decreed the end to influence peddling, in favour of quality and innovation. Cities aim above all to sell to those with innovative ideas. This makes entrepreneurs focus on projects that can add something extra in terms of social innovation. For example, as regards the winning design for the Pitet-Curnonsky site we proposed the theme of the “inhabited garden”. A building made entirely from wood with shared spaces for urban farming; an outer shell made with a metal grid hosting creeper plants, but above all we also worked with the Conciergerie Solidaire association, which offers special services that make neighbourhood life easier. It’s run by young people who manage the building’s ground floor and offer services of all kinds (doorman, baby-sitting, yoga and acting classes). We think this type of integration between architecture and users would not have been possible without a competition like “Ré-inventer Paris”. Up to now architecture projects were not required to deal with associations or other culture professionals present in the area. Salvator-John A. Liotta, Fabienne Louyot: Paris is a city that has repeatedly paved the way in terms of urban innovation, and once again it can be a model for social and cultural renewal. We’re convinced that the time has come in which we need to foster a post-individualist society and reinforce experimentation in the field of relational architecture. What is your position on this? Nicolas Laisné, Dimitri Roussel: For the “Ré-inventer la Seine” design, we looked for local players suited to site-specific ergonomics. We engaged various people who live along the Seine and a local contemporary art foundation. But keep in mind this isn’t only about consolidating relations between existing local players – which in itself is an ambitious objective – but also attracting new people and new energies. Architecture projects are no longer just buildings that satisfy a programme, but rather they become social systems of use. An architect’s job is to unite all these players – engineers, promoters, real estate agents, politicians, future users, associations and inhabitants – and mediate. These competitions ask us to create a network to strengthen innovation in the social, artistic and cultural field, with a truly open and inclusive design vision. Salvator-John A. Liotta, Fabienne Louyot: There’s an element that persists throughout your architecture language: the terrace. In your first designs, like Elvira or Berge du Lac, the terrace derived from sloping floors and geometries from findings. Design after design—the competition for the Torre di Lima, Canopia—the terrace has become an element in its own right. It calls to mind a feature typical of Japanese architecture: that is, the creation of intermediate spaces so that there is no clear-cut distinction between the interior and the exterior, but rather a progression in semantics that defines the design spaces. The designs are enriched, and we imagine they are favourably looked upon. But how much do they weigh upon the overall costs of the construction? How do contractors react? Nicolas Laisné, Dimitri Roussel: Yes, absolutely, the terrace is part of our research. At a certain point, we coined the slogan “Le dernier étage à tous les étages” (“the top floor on all floors”). In the Lima competition – which, by the way, we didn’t win – we experimented with the terrace as an element on its own. This led us to push its limits in the Arbre Blanc in Montpellier, where the terrace greatly distinguishes the design. In our latest work, Nice Méridia, the terrace extends and turns into an outdoor connecting catwalk where moving around in the building is concentrated. In our designs, the terraces measure 10–20 sqm; they are places for living, where you can add a table and enjoy gazing at the sky. 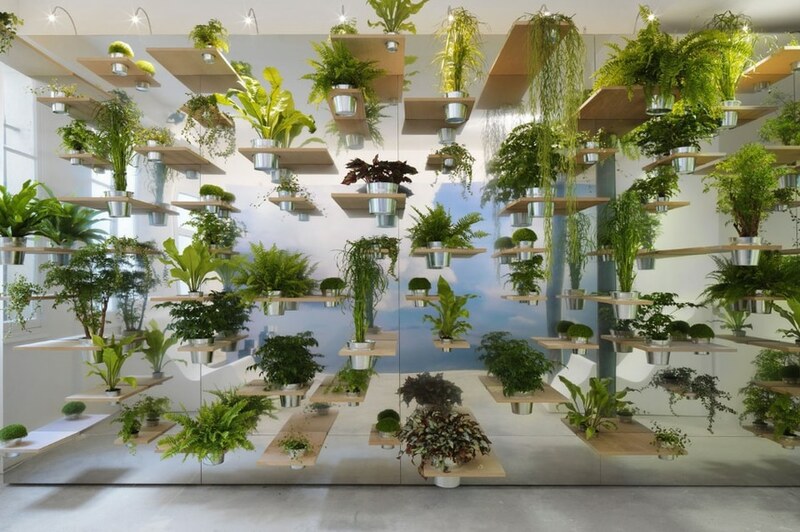 Salvator-John A. Liotta, Fabienne Louyot: There are two designs of yours – the stairs at Saint Ouen and the Haut Dehors vegetation installation – that seem to powerfully incarnate the spirit of your architectural practice. Nicolas Laisné, Dimitri Roussel: We open our conferences with these two small designs. The stairs at Saint Ouen was our first design together. We had no budget and little work. We spent our time with local artisans to create this project. In this intervention, the push is upwards with rarefied elements, as if they were pixels or balconies. 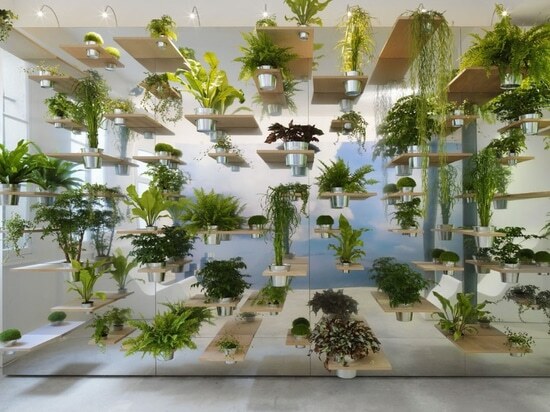 Haut Dehors integrates nature, the reflection of a mirroring wall that multiplies the size of the protruding shelves. We’re fascinated by the jump in scale, either big or small, that allows us to experiment and forces us to address all details, calling for ambivalence between big and small designs. Salvator-John A. Liotta, Fabienne Louyot: Your designs use simple materials like wood, glass, steel, cement. But you also widely use greenery and grids and cables to integrate organically. As far as evolution goes, I’d say you’ve gradually moved on to light colours, integrating transparency as a design material. What led to this shift? Nicolas Laisné, Dimitri Roussel: There’s a lot to say about resources. You can’t be deaf to shifts in paradigm that are underway. Eighty per cent of our current building output is in wood. 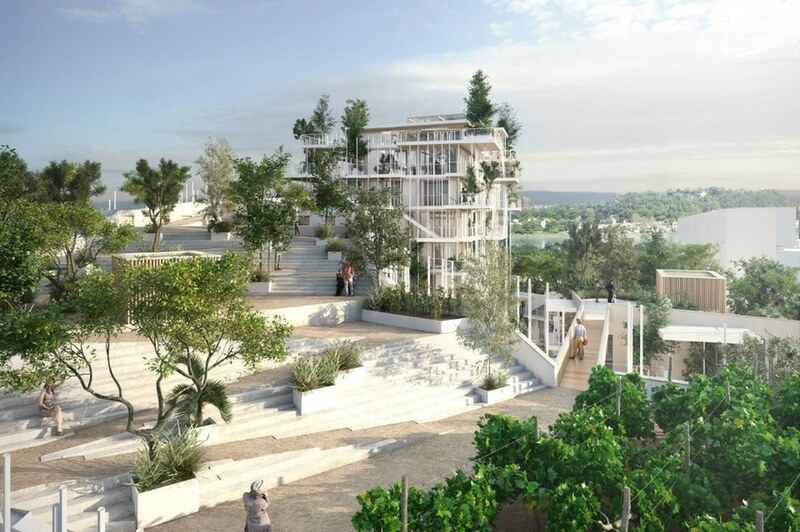 For Canopia, housing units in Bordeaux, we included roof gardens on the top, which will be run by an association that can give life to this building. We realized this construction is one-off. Getting back to the terrace, our Nice Meridiane design is a sort of Beaubourg plus Arbre Blanc. Here, the role of the materials is decisive for energy issues, wood and transparencies. Today, since anyone can work anywhere, the office space becomes a place you go to meet people, expand your own network and exchange ideas. It’s a prototype of what we hope will become the office of tomorrow. Irrespective of size, we know we can strive for heights previously inconceivable with wooden constructions. Finally, we have the impression that the act of building in wood repositions and gives importance back to the role of the architect, as if designs were reclaimed thanks to this material.